The final event in the 2013 One Lap of America is complete, and the Tangerine Associates Nissan GT-R with Catesby Jones and William Taylor did just what they needed to do to finish second overall. Pulling 1.107 Gs on the skidpad is huge on a street tire that just did over 3380 street miles and tons of track laps. On the skidpad GT-R's finished 1,2,4,6,8 and 22. Final results for the 2013 Brock Yates One Lap of America. 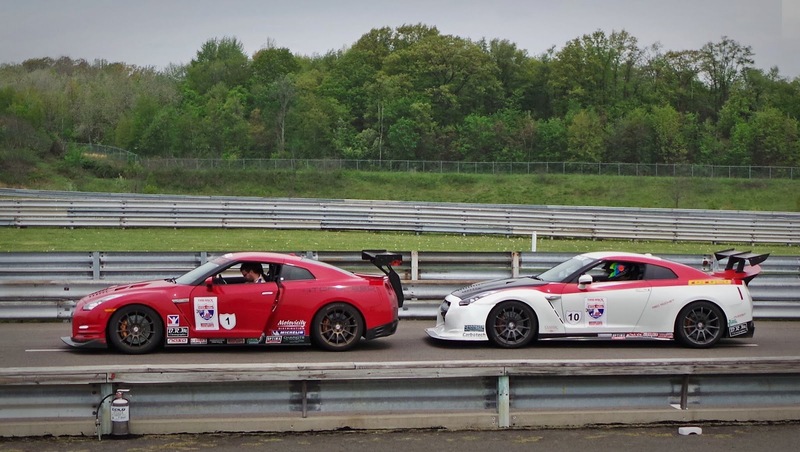 For the third year in a row in a GT-R, fourth year in a row for Topspeed Motorsports, they take the first spot. Second spot belongs to Catesby Jones and William Taylor. Spots four, five, six, and nine all occupied by GT-R's. Congratulations to everyone for completing the event. It seems the only way Topspeed won't win this event, is if they don't enter.